Everybody stop what you are doing. Seriously. Stop it and go watch this TV series on Netflix. You haven’t heard about it? Well, let me educate you about Miss Fisher’s Murder Mysteries! This series is about a sassy, brilliant, and cunning woman, Phryne Fisher, who becomes a private detective. This show is set in Melbourne during the 1920s. It’s refreshing to see her completely own that society. In a world where men primarily dominate the business, medical and educational sectors, it is wonderful to see her break down all of those walls. She is incredibly clever and solves the murders with finesse and wittiness that might only be rivaled by Sherlock Holmes himself. 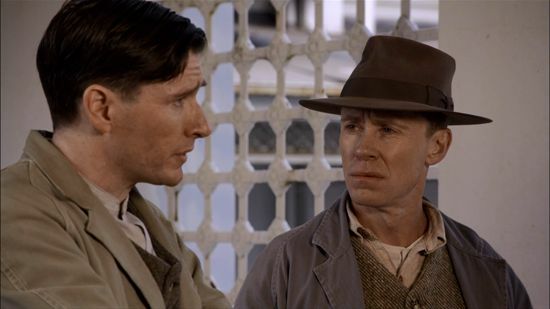 Phryne meets Detective Inspector Jack Robinson. At the beginning of their acquaintance, Jack did not trust or value Miss Fisher’s opinions. However, over the course of the first season, they develop a friendship. I won’t lie, I absolutely ship them. Their banter is not only witty and intelligent, it’s also saucy and flirty. Watching their relationship unfold on the series was one of my favorite parts of the show. This show also has an amazing cast of characters, including Dot and Collins (pictured on the left) and Ces and Bert (pictured on the right). They provide the perfect amount of cleverness and comedic relief. If you enjoy crime shows or murder mysteries, I would definitely recommend this series for you to start watching. The first three seasons are available now. Once you start, I guarantee you’ll become a fangirl like me!